UCSU Volunteers were invited to participate in an activity day with the Organisation, West Cumbria MIND based in Workington. 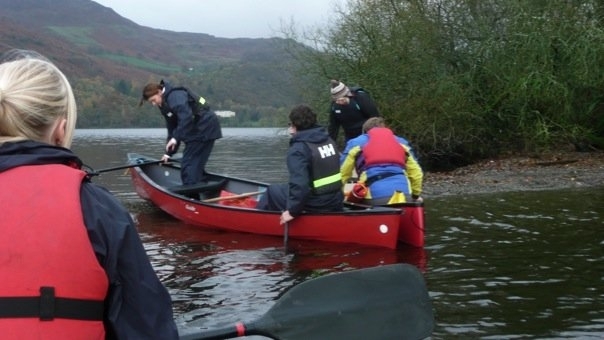 On Wednesday 28th October UCSU Volunteers met Patrick, who runs the canoeing activities for MIND Service Users at Derwent Water Marina for a day’s canoeing. The purpose of the day was to introduce MIND as an organisation that provides volunteering opportunities to work with people who have mental health issues. Volunteers can help MIND service users in a variety of ways by sharing in activities, offering peer support and assisting them to achieve targets in areas that some of us take for granted. For example, meeting for coffee in a public place – this can be a very difficult and daunting experience for someone with a mental health issue but with the appropriate help and support service users can overcome barriers and achieve their goals.